Hi everyone! Welcome back to Sepia Scenes! I took these shots on a trip to Sleepy Hollow, N.Y. 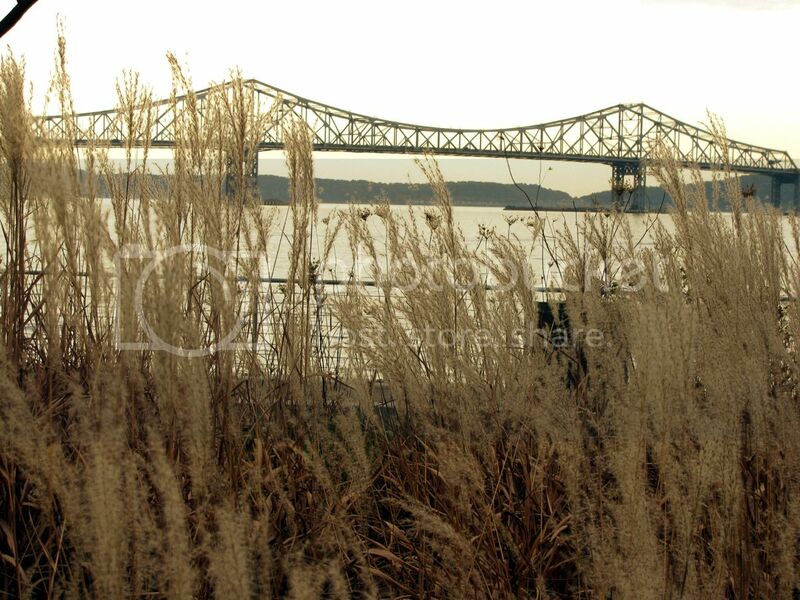 The top one is through the cat tails toward the Tappen Zee Bridge. 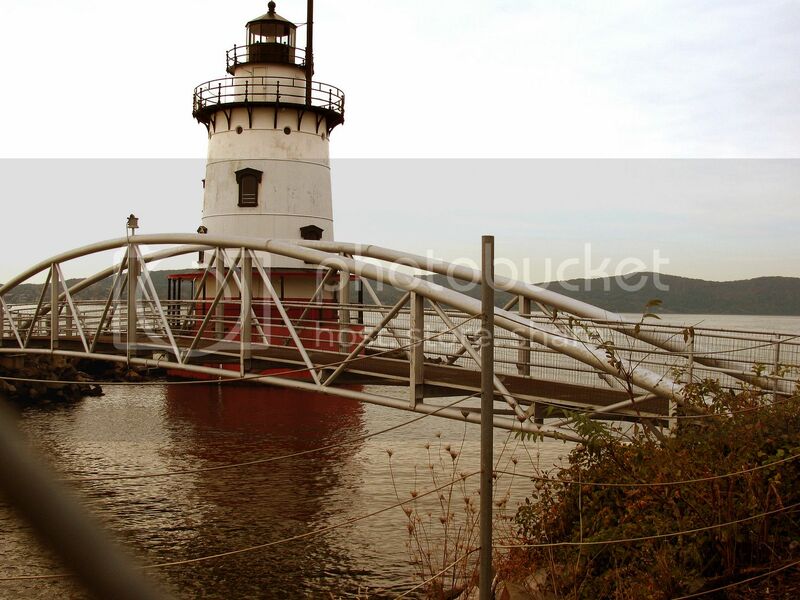 The bottom is the Tarrytown/Sleepy Hollow Lighthouse just north of the bridge. I applied Half Sepia to both these photos and see how different the effects are? Please sign Mr. Linky, comment and visit your fellow bloggers. Thanks, my dear friends! Mmmm... I guess you're keeping this on the QT until tomorrow, yeah? I love the half color. I really like the half sepia effect. And, I especially like the proximity of the bridge to the lighthouse. The half colored, red bottomed light house was weird, standing with its fet in the water. As always; original pictuer\\res with food for thoughts. I love the bit of color that is left...I have got to try this sometime. The Hudson River fjord is beautiful, the more-than-mile-wide body of water a salt water gem. The Tappan Zee is a beauty to behold (not so much fun to drive to Rockland County - a replacement is needed ASAP). That said, as the Hudson is navigable for ships for many of its 307 miles, the lighthouses are sure to be plentiful. And you have captured the essence of the river with its sepia grasses, too. Nice! The grasses work well in sepia. I especially like the red lighthouse shot with the half sepia effect. Great shots, but no, not much fun to drive with all the traffic. Did I hear a while back that it was being upgraded? I grew up in Rockland, not all that far from that bridge, but now that my folks moved away I haven't been back in years. I love the softness in your pictures! Just lovely! Love peeking through the grass at the bridge! I left a little color in my this week too. Have a great day Mary? Is this a new posting time? I like your photos with a little bit of color !! Love the effect of half sepia here! Beautiful! You sure do come up with some gorgeous sepia effects!! I love the photo with the bridge and the lighthouse. It's very striking with the red colour. These are beautiful photos, Mary! 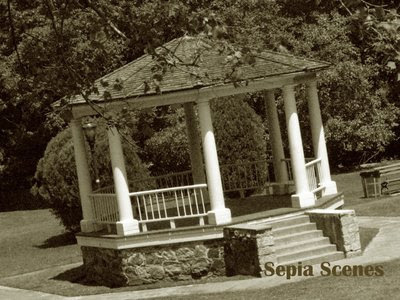 I'm joining Sepia Scenes for the first time, and I'm going to learn how to do the Half Sepia from your post. That's interesting.. The last photo is stunning, and I would love to learn how to do half sepia.. Your shots are awesome as always!! Love that view through the cattails. Have a great day!! Oh I love the shots with only half of the sepia applied! Wonderful! Thank you for visiting my blog, i hope you found my translation button, although it´s a really bad one ;)... I love sepia scenes and i love the good ideas you put up. unfortunately i dont have enough time to perticipate every week (i´ve only entered once) but i love to watch the ones that are in. These are great!! I always love your lighthouse shots! I have one up now!! LATE-LATE!! I love your lighthouse, especially the red. You always have the most creative shots. Mary, love your SS photos, I'm always in awe of you. I just finished a post for this coming week. I'll be glad to back with everyone.